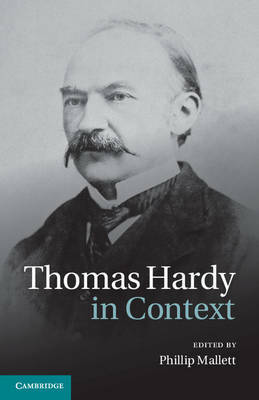 This collection covers the range of Thomas Hardy's works and their social and intellectual contexts, providing a comprehensive introduction to Hardy's life and times. Featuring short, lively contributions from forty-four international scholars, the volume explores the processes by which Hardy the man became Hardy the published writer; the changing critical responses to his work; his response to the social and political challenges of his time; his engagement with contemporary intellectual debate; and his legacy in the twentieth century and after. Emphasising the subtle and ongoing interaction between Hardy's life, his creative achievement and the unique historical moment, the collection also examines Hardy's relationship to such issues as class, education, folklore, archaeology and anthropology, evolution, marriage and masculinity, empire and the arts. A valuable contextual reference for scholars of Victorian and modernist literature, the collection will also prove accessible for the general reader of Hardy.